Wouldn’t it be nice to tell donors what to say when they talk about your nonprofit? The Rule of Threes won’t let you control what people say, but it will give you an edge. Use it, and you will be giving them “mini-scripts” that will come to mind when they talk to their friends, colleagues and associates about you and what you do. Feed the three qualities into those three channels three times for the next three months. Follow the Rule of Threes, and by the fourth month you will be hearing people talking about you and saying just what you hoped they’d say! Next time you are at a conference, or even when just surfing the Web, notice how people describe their nonprofit. You hear the same words over and over: “catalyst, change-agent, responsible, integrity, mission-driven, values-driven, grassroots,” and so forth. But, if every nonprofit including yours is a change agent, what makes you unique? How will anyone remember you? Start by limiting what you say about yourself to three qualities. That will in itself be noteworthy! Next, make sure they’re the right three qualities. Start by visualizing your ideal donor. What does she do for a living? Where does she work? What does she do in her free time? Is she married or single? What pressing needs does she have? What is her income? What results does she value? Now that you have a picture of your perfect donor, start listing all of the things your current donors are already saying about you. How are you helping them? What needs are you filling? What services are you rendering? What attracts them to you? What happily surprised them in working with you? How do they talk about you? Choose three of those qualities that your perfect donor will best hear. It’s crucial that they are already true. Focusing on what you’re already doing well will free you up to service more donors. You won’t have to waste time trying to add new services when they sign on with you. It will also make it very natural for your current donors to use these words in describing your school to their friends. By using the language others are already using about you, you’re building word of mouth! Anything. The variety of channels is virtually inexhaustible. Use your imagination. Be creative. But then, narrow the list to three. You can’t work too many at once. So stick with just three. Now, you’re ready to put the Rule of Threes into practice. You’ve identified your “perfect donor” and the things about you that would attract that donor. 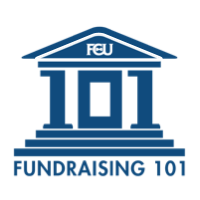 You’ve also chosen three different ways you’ll communicate those things to current and future donors. Now you just need to do it. Put one quality into each communication channel at least once each month for the next three months. Sounds simple, right? It is. Over these three months, you’ll be repeating the same thing in different places. You may get tired of hearing yourself. But you’ll find that you become much more focused in describing the benefits of your organization. You will be speaking with integrity because you’re not making claims that are unfounded—you’re using words that others already use when they describe working with you. Be patient. Submit to the process. Gordon and Krisco warn not to expect results in the first three months. But, as the fourth month rolls around, you’ll find that people will be much more interested in giving to you. In fact, the people who call you will usually not be the people you directly communicated with at the local chamber meeting or the latest donor reception! It will be their friends, and the friends of their friends. By using your three qualities over and over, you gave mini-scripts for them to use later in describing your nonprofit to their friends and colleagues. So, while it may be true that you can’t control what people say about you, you can help them out a bit. Why not give them the words to use? Marc A. Pitman is the author of Ask Without Fear! and the founder of FundraisingCoach.com. An executive coach to nonprofit leaders and business owners, he's an expert in helping people identify their natural abilities, he's committed to providing down-to-earth information that will decrease stress and put the “fun” back into living! This article was adapted from Marc's book Who's Telling YOUR Story? Check out FundraisingCoach.com to learn more about Marc's fundraising seminars, in seeing more of his fundraising tools, or signing up for his free free "Ask Without Fear!" enewsletter.